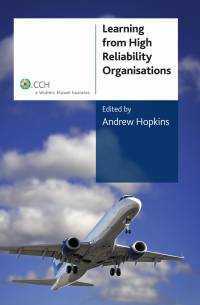 This new title, Learning from High Reliability Organisations, is an in-depth analysis into what makes a high reliability organisation. Combining research from OHS experts, including Professor Andrew Hopkins, learn what these organisations are doing that enables them to operate safely and what your organisation can do to avoid hazards and disasters. Hopkins has been awarded a prize by the European Process Safety Centre for “extraordinary contribution to process safety”, the first time this has been awarded outside of Europe.